Like many others, you most likely take your garage door for granted. You press a button, the door opens or closes, and you drive in or out. Garage doors are functional, but they can be more than that. They can be attractive and add to the overall appearance of your home. Read on to learn five ways to customize your garage door. Also, consider some of the best quiet garage door openers reviewed by A Quiet Refuge. Today’s garage doors are built in sections. Each section is paneled. 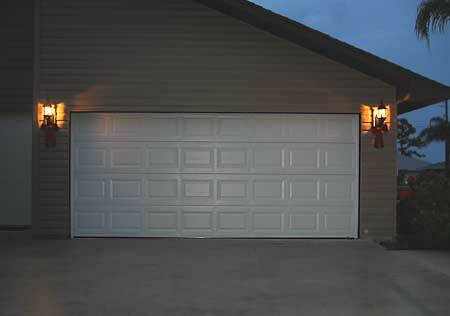 There are a wide variety of paneled garage doors available. For example, you could choose a garage door with a rectangular panel in the topmost section and with square panels in all of the sections below. There are also garage doors with all square panels. If you want your garage door to stand out, consider opaque glass panels. 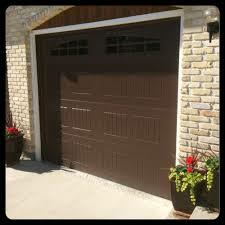 Glass panels are an attractive, distinctive look for your garage door that give your home a sophisticated appearance. In addition to being able to customize the size and number of panels on your garage door, you can choose the design of the panels. You can select beveled panels or panels that are carved. There are panels that are quite minimalist in their design without beveling or carving. Don’t like the look of panels? There are garage doors without panels at all. Whatever your preference, you can find a panel design that meets your needs. There are generally two sizes of garage doors: single garage doors, which are 9 x 7 feet, and double garage doors, which are 16 x 7 feet. However, you can order garage doors in custom sizes, too. Let’s say your garage door is bigger or smaller than those standard sizes. Your garage door installer can work with you to create a door that’s the exact size you need. Don’t forget that you can tailor your custom-sized garage door in other ways. 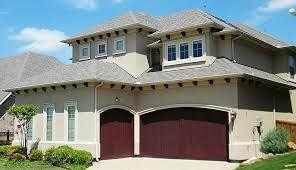 You probably think of garage doors as coming in a few colours: beige, gray or white. That isn’t the case any longer. Garage doors are available in a range of colours to complement your home. Chocolatey brown, forest green, khaki and silver are just some of the options which are available to homeowners today looking to improve their property’s appearance. When you think of windows, you most likely don’t think of them in your garage doors. Yet, windows are one way you can customize your garage doors for a unique, personalized appearance. You can add windows to your garage doors in a few ways. One way is to add them as a row in the fourth section of the garage door. Another way is to add them to the third section of the garage door. When it comes to windows, there are many styles out there. Some styles are conservative and simple, and other look like stained glass windows. No matter what you choose, windows enhance the appearance of your garage door and your home as a whole. Garage doors don’t have to be boring – the sky’s the limit when it comes to customizing them!